Bearhouse Characters are all named after famous places or landmarks be it palaces, castles or visitors attractions right here in the UK. Downton the pig is made from several different types of plush. 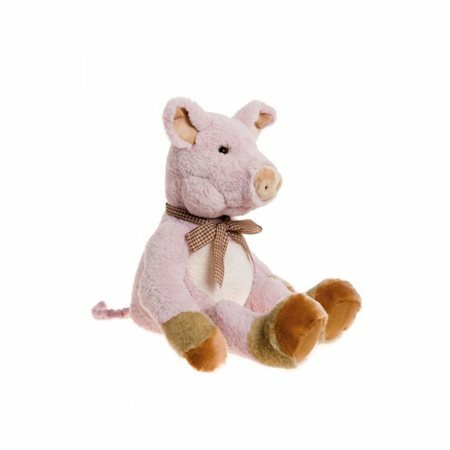 A lovely soft piglet pink plush has been mainly used which has been highlighted with additional cream and brown plushes. Face detail includes his chubby sculptured cheeks and nostrils. He has adorable curved ears. He has a designed bend in his knees for easy posability and he has been softly lled which is perfect for bedtime snuggling. Bearhouse Bears are machine washable and suitable for anyone aged 18 months or older.